Hair loss can be the effect of heredity, certain medication or an underlying condition. Men or women and children can experience hair loss. Millions suffer from ordinary to famous Hollywood celebrities. It can be caused by Alopecia, MPB or male pattern baldness, cancer treatments, medications; some may blame it on the genes while others may be a result of over styling brought about in the need to have attractive looking hair all the time. Whatever the reason may be, the sufferer may share the same feeling, they are more prone to depression and a lot of other emotional issues. It also results in having low self-esteem and anxiety. We ask why hair loss is so devastating to men and women. It is mostly cultural as a physician would say. Almost every society in the world associates luxurious hair with youth, beauty and good health. “ For centuries, human have adorned themselves in variety of ways like nail cosmetics, tattooing and hairstyles of all sorts. For many people, their hair is what makes them feel beautiful. So when you lose them for whatever reason, it can be devastating.” says Dr. Brodell. Baldness refers to excessive hair loss from the scalp. While some people prefer to let their baldness run its course untreated and unhidden, others go thru greater heights to seek for treatment and cover ups to conceal them. 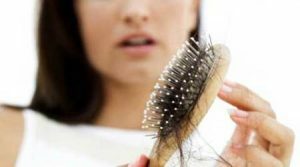 There are various ways to conceal and treat hair loss and hair thinning. Wigs, hats and caps, scarves and other hair accessories can be used to hide them while there are also natural and chemical based treatments available today. There are also laser combs, hair building fibers, hair concealers and the other evasive treatments like hair transplant and stem cell. 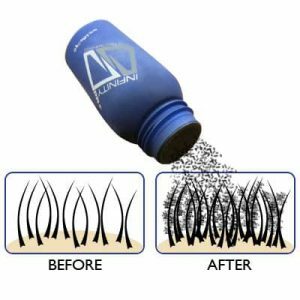 While all these treatments are readily available in the market today, a hair loss sufferer may try each product and find the best that will suit them and what really works for them. It has always been a hit and miss scenario as most of these treatments either cost a lot or has a waiting time for the treatment to take effect. For some who wants to get an instant solution to hair loss, wigs are always dependable where one can choose from different styles, length and color although many have complained that it is very uncomfortable and feeling uneasy while some are happy and satisfied using hair building fibers like Infinity. Infinity Hair Building Fibers are made of keratin, the same component with our natural hair, when the fibers are sprinkled to the thinning areas, it automatically clings and adheres to the hair stands making it look thicker and fuller. There are a lot of options to hide and conceal hair loss. There are instant options and long term treatments available. You just need to find what works best for you when you need it and you will never have to worry about hair loss again.